Looking for a new refreshing, sweet and tangy salad for the season? Then this Fruity Chickpea Salad is the one for you! Add strawberries, rice vinegar, agave, and chia seeds into a blender; blend until smooth. 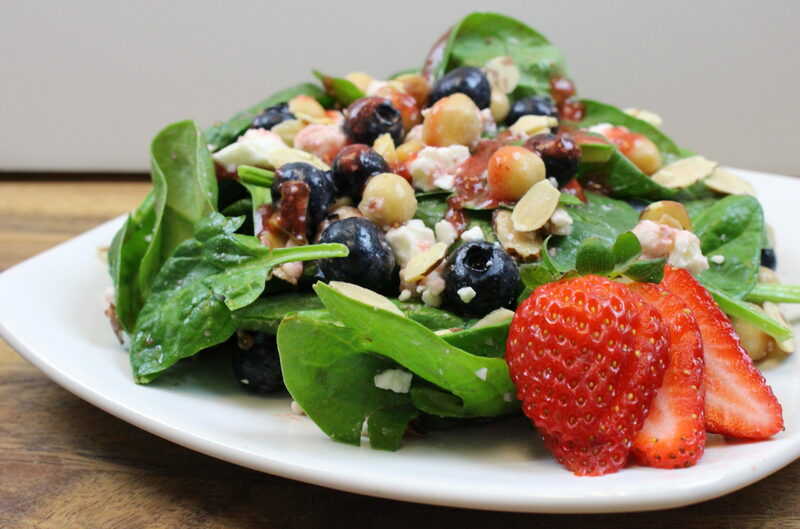 Place the baby spinach, chickpeas, feta cheese, blueberries and sliced almonds in a large bowl. Then drizzle your desired amount of dressing over the salad and toss. Enjoy!